I don’t like to complain. I’m of the mentality that if there’s something one isn’t content with something then one takes upon themselves to make a change. That’s always easier said than done though, and there’s always some things that as much as one wants to change, one can’t. One of the things I’m not 100% chuffed with is my current abode. Don’t get me wrong, my flat has the potential to be a very nice flat, but at this point it isn’t. It’s habitable and it’s cosy and as a whole the potential is there, but it’s not at it’s best right now. 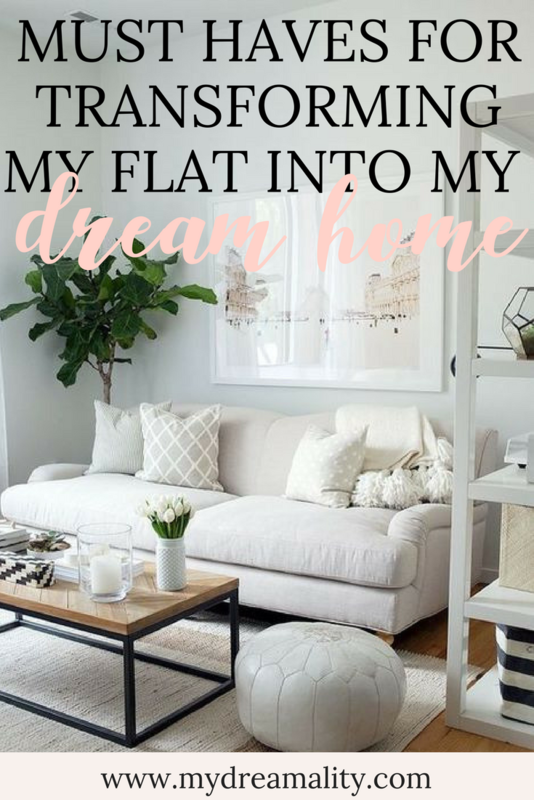 I always find myself daydreaming about what I would change if I owned it so I thought a must haves for transforming my current flat into my dream home was in order. There is no cohesiveness to the flooring in my flat. Like, none what so ever. 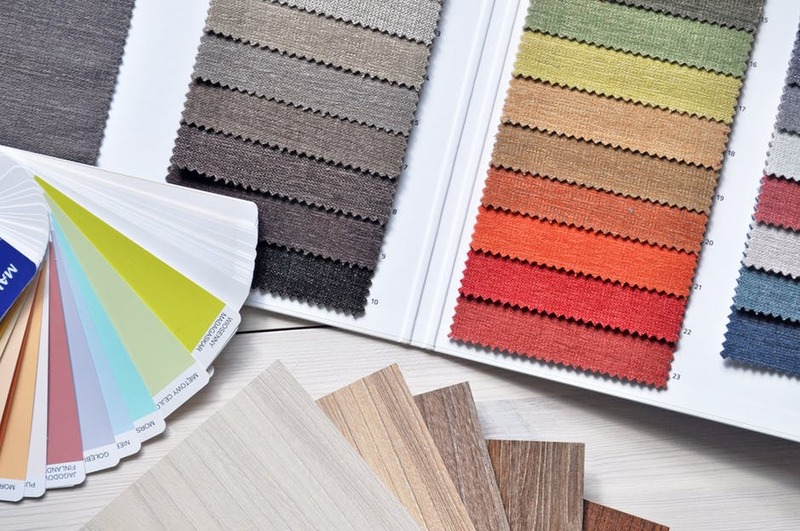 There are a total of 5 different types of flooring – there is black linoleum in the bathroom, a light coloured faux wood in the hall, a darker coloured faux wood linoleum in the kitchen, some (ugly) brownish carpet in the living/dining area and main bedroom, and a lighter (but equally ugly) carpet in the second bedroom. It’s not gross or old, it’s just ugly and I am not a fan. The first thing to go would be the floors! I’ve loved wood floors for as long as I can remember. When I lived in the USA I was enamoured with dark mahogany and walnut coloured floors. There was something about the dark wood that grounded the large rooms, and that was something that I loved. Now that I live in the UK where space is limited and light is scarce I am aiming for “light and airy” all around look – including the floors. 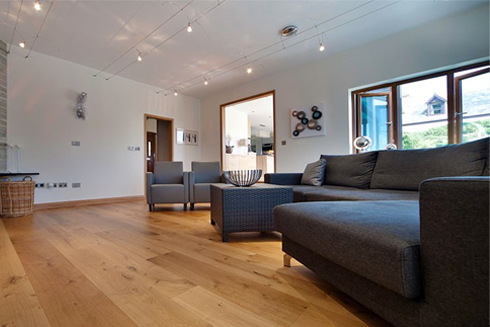 My ideal flooring would be a gorgeous oak, and would come from a sustainably responsible source. As part of my eco-chic shift I’d have to select a company like French Forest Floors that not only is concerned about the environment and contributes to the sustainable management programme for oak forests throughout France, Belgium, and Germany, but one who also brings their customers competitive prices by cutting out the middle man. I don’t hate you magnolia, but you’ve got to go. If I owned the flat I lived in I would steer as clear from magnolia as I could. I don’t think it’s a bad paint colour, and it can certainly warm up a room, but having been exposed to it for all of my UK renting life, we need to amicably separate. My favourite paint colours currently range from clean, crisp whites like All White by Farrow & Ball, to whites with some colour to them; such as the slightly lilac Great White also by Farrow & Ball, and the slightly green hue of Chantilly Lace by Benjamin Moore. I love those colours that reflect enough light to brighten up my ground floor flat, yet have enough of an undertone (either warmer or cooler) to give the place a bit of life and the pick me up it so desperately needs. 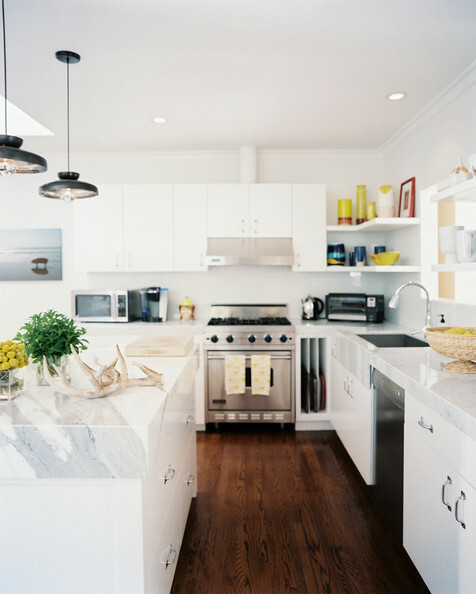 The worktops and cabinets are not hideous, but they if I had my way I would make sure they were cohesive with the rest of the flat. The warm colour scheme of beige and so brown they are almost black worktops that are currently in my kitchen would be transformed into a stunning white that would serve as a versatile backdrop to the accessories of my choosing. Pair that with stainless steel appliances and marble worktops and my dream kitchen would bring life to my open plan living area. More often than not I find myself thinking about how poorly the space in my bathroom is used. With a typical shower over bath enclosure to your right, a sink right across from you as you enter, and the toilet to the left of that there is a lot of unused floor space. If I had my way I would opt for a Japanese inspired bathroom, where the bathing area is a wet room, and there is a separate toilet room. With some tweaking of the floor plan this can be easily achieved. A small toilet/basin combo would not only be a space saver, but also quite green, as the sink water is collected and used to flush out the toilet, and the sink runs when the toilet is flushed. 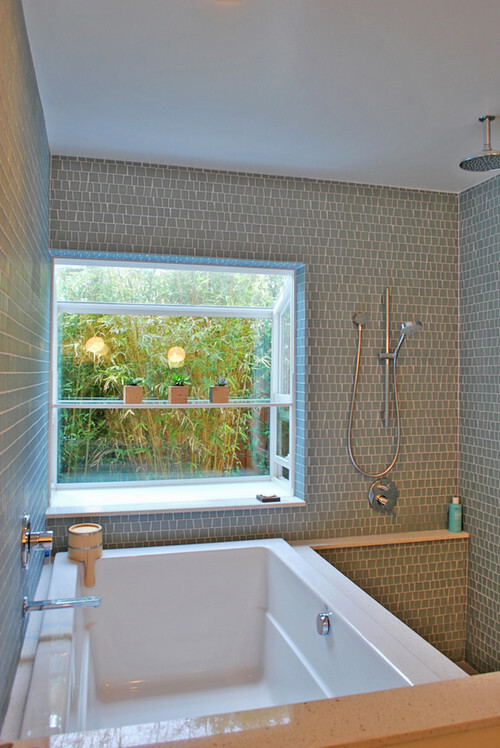 Either that, or I’d opt to give my existing bathroom a transformation similar to this one found on Houzz that includes a large soaking tub, and a water fall shower head. 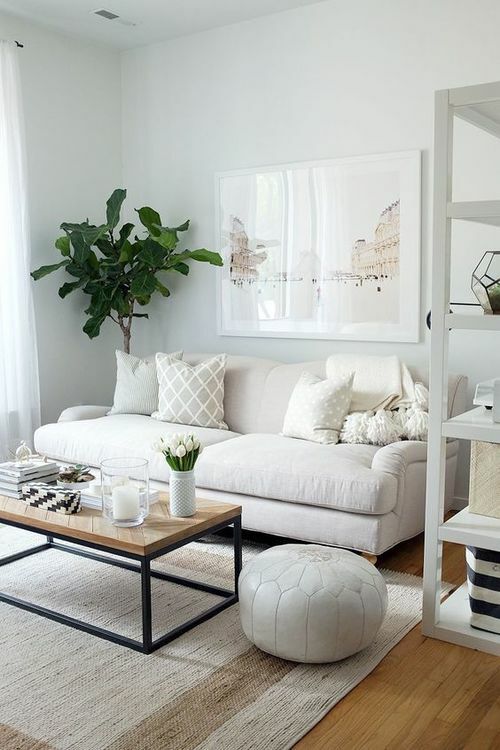 There is so much one can do to transform their home, but in my opinion deciding on those big changes and being 100% happy with them can make even the most unassuming flat become a dream home. If you could change your existing home what would transform it into a dream home? Leave your ideas in the comments. I can’t wait to read what you would tweak.